Monkey Fartz: Stephen Colbert: "Digg, You're on Notice!" 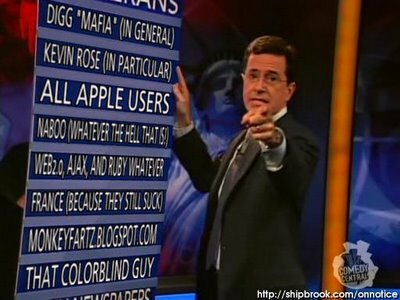 Stephen Colbert: "Digg, You're on Notice!" Thanks to shipbrook.com/onnotice for facilitating my rant.